The Denver Catholic Worker Soup Kitchen operates on an annual budget of less than $50,000, donated in cash and in kind by many in the community. The Soup Kitchen receives financial support from churches and individuals donors and receives food from a number of Denver enterprises. 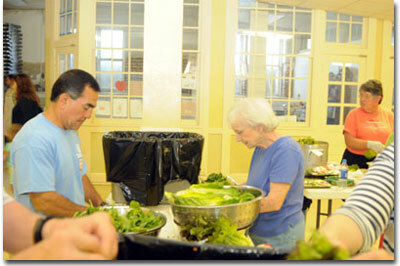 In 2009, the Soup Kitchen received one-time Hunger Relief grants from The Denver Foundation. We receive extensive support from our dedicated volunteers, but new volunteers are always needed to replenish our ranks. We rely on our current and new volunteers and financial donors to continue the work of the Catholic Worker Soup Kitchen. Who Eats at the Soup Kitchen? There is no profile typical of the people who eat at the Soup Kitchen. 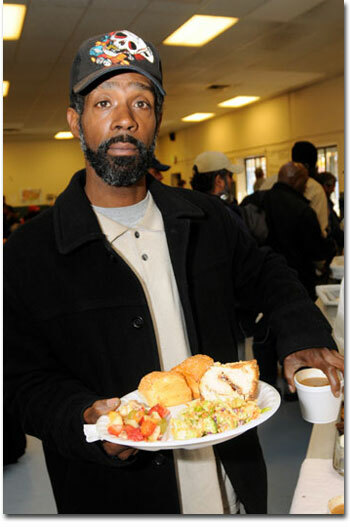 “William” is one of the individuals who regularly eats at the Catholic Worker Soup Kitchen. In fact, he has been a regular since the CWSK’s inception. Born in 1944, he reports that he has been homeless for most of his adult life. William is a veteran. For a time, William slept in an abandoned building. At present, he sleeps outside, under a bridge, in two tents, one inside the other. He sleeps outside by choice. A family member has offered William shelter, but he has refused. The issues underlying William’s homelessness are not clear. What is clear is William’s need. He has made long-term friends among the volunteers at CWSK and has relied on CWSK meals for over two decades. Another person at the Soup Kitchen started as someone who needed a meal and then became a volunteer. “Ralph” is a 56-year-old man who was homeless for 12 years when his disability checks stopped. He moved from shelters to cheap hotels to bridges, with occasional stops in jail. Ralph has been coming to the Soup Kitchen for over 20 years and has volunteered “to have something to do.” Over this time period, he has become an expert in making coffee. Ralph says that the workers at the Soup Kitchen treat him “OK,” which if you know Ralph, is high praise. Let us know what information you need. Include a telephone number if you want us to give you a personal call. Denver Catholic Worker Soup Kitchen, Inc.